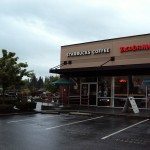 It’s been a while since I have written a store review of a Starbucks, but with this blog entry I’ll be reviewing the Starbucks at 200th North and Highway 99, right on the border between King and Snohomish County. 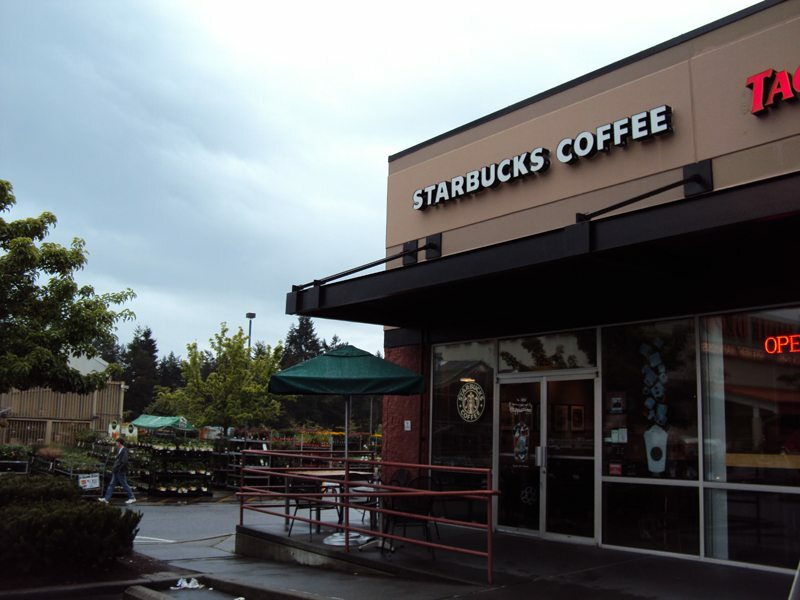 It is the “Aurora Village” Starbucks, near the Aurora Village Transit Center. During this blog post I’ll be mentioning my car now and then which might not make logical sense if you have not read “Episode 1” of the car story. For the stolen car story, visit the blog post on Decaf Casi Cielo. On Tuesday of this week, I received a phone call from the Seattle Police Department that my car had been located. It had been dumped/dropped off in the Columbia City neighborhood of Seattle. At the end of the day, my boyfriend drove me down to the location where we were told that we could find the car and pick it up. At first, it looked drivable, but upon further inspection we discovered that the ignition had been jammed with something, the battery totally run dead, and the fuel line cut with a knife! When I parked the car in Pioneer Square (the day it was stolen) it had a full tank of gas, and now it was close to empty. All the contents of the car had been totally dumped out; they were gone, nowhere to be seen. The car stereo had been ripped out also, and the carpets ripped out from the trunk too. I had it towed to an Acura dealership in Lynnwood. I want to make it clear this is an old car. My car is seventeen but I’m the original owner. Its reliability has been beyond belief phenomenal for me, and despite being old, it runs beautifully. I refuse to buy a new car when I am able take a bus into downtown everyday, and I don’t want to have a car payment – I can use that money at Starbucks! So, I just drive my old, good-gas-mileage Acura Integra. Acura of Lynnwood did a number of repairs to my car, some caused by the car thief, and some normal wear-and-tear due to the age of the car. I got a call the car was ready and told them I would be able to come by Friday and pick it up (meaning, today, June 4, 2010). From downtown, I hopped on a bus all the way up to Aurora Village Transit Center. When I got there I had thought that I would be calling Acura of Lynnwood to come pick me up and take me the rest of the way, but due to the lateness of hour, and a very busy service department, I was never able to get someone from the dealership to come pick me up. 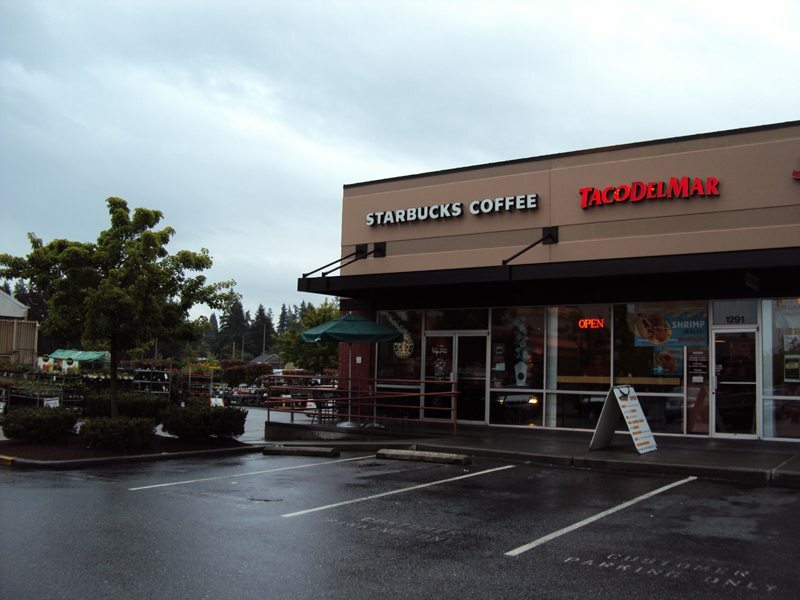 When I got to the Aurora Village Transit Center the first thing I noticed is that there is a Starbucks only one very short block away, so of course, that’s where I headed to wait for Acura of Lynnwood to come get me (as I had thought they would be picking me up). I walked into the Aurora Village Starbucks and saw two black-apron baristas working. The store wasn’t totally dead, but it definitely wasn’t busy. It was just sort of a slow pace with a few people coming in and out. I ordered the bold pick of the day (in a for-here cup), and a Strawberry Banana Vivanno with three pumps of dark cherry syrup. I could not have asked for better luck: Italian Roast was on the brew and ready to go. So I got my beverages, sat down and tried feverishly to get through to a real person at Acura of Lynnwood. I sat at the store for nearly a full hour, not really wanting to go back out in the rain, and wondering if I should just take a bus the rest of the way up to get my car, or call a cab, or something. I sat contemplating my options. As I sat, almost totally bored, I thought “there has got to be some way I can turn this experience into a blog post.” Hence, this blog post! By the way, after sitting for quite a while, I went up to the register and asked for a refill of the Italian Roast and the barista happily obliged, and poured me another nice hot cup of Italian Roast, charging me the refill price, which of course was a card benefit. The black-apron barista at the register was really pretty knowledgeable about card benefits and assured me, ‘don’t worry that’ll come off when it is rung up.’ I got a little bag of Lucy’s Cinnamon Thin cookies to use as dunkers into my Italian Roast. While I was there I did visit the ladies’ room, and saw that it was clean. The famous “Juan Valdez,” from StarbucksGossip.com fame, would have been glad to hear that there was no plunger in the restroom. The store itself looked clean to me. The only thing I wondered about as I sat for almost an hour was that I didn’t ever see a barista come out and check the condiment bar the entire time I sat there. I suppose it could’ve happened while I was in the restroom. Though, it didn’t seem too important because it didn’t appear that customers were making a mess of it, and in fact, though there were customers coming and going while I was there, the condiment bar was never trashed or in poor condition. Finally, after sitting a while, I decided to hop on another bus and head the rest of the way up to Acura of Lynnwood. When I went back up to the register area, returning my for-here ware, one of the two baristas (“Ashley”) smiled genuinely and practically invited me to come back again, asking me if I’d be back. I answered “no” and then explained that the store was nice but that this just wasn’t my neck of the woods. I arrived at Acura of Lynnwood and picked up my car. I have to say their level of customer service was on par with Starbucks at their very best. I was blown away. When I initially talked on the phone to the service person about the repair work to my car, I explained, “I have to have it detailed. I know that’s more, and all this is adding up, but it’s been STOLEN, and someone strange has been driving it, and I don’t know who, and it will only feel good again if it has been detailed. It’s like as if I have to get rid of car thief germies!”. The service repairman was extremely sympathetic to the fact that my car had been stolen, and said, “We’ll just throw in the detail.” I was totally touched by the gesture! And then when I got there I explained about the mix up and needing a ride, and the clerk who rang me up for the repair bill was profusely apologetic, and wanting me to call the next day and complain when the right person was in. Wow. The customer service was amazing. They were so genuinely interested in making sure I was happy. I thanked them twenty times over, and said that all was fine, and really I was already totally touched that they had added in the detailing service free of charge. 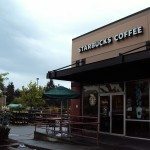 My apologies for the long post that is half-way a story about a nice visit to the Aurora Village Starbucks, and half-way an Acura of Lynnwood story. I promise my readers that in the future I’ll stick more strictly to just writing about coffee and Starbucks! As to the trip into the Aurora Village Starbucks, I’d rate it a B+. The only reason I didn’t give it an “A” was that I was puzzled not to see the condiment bar attended to during the hour I was in their store. 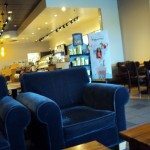 But the store was clean, the baristas were friendly and knowledgeable, the bathroom was clean, the coffee was fine, the Vivanno was delicious … I could not have asked for more! The First Starbucks Reserve store: Roastery-inspired beverages and no Frappuccinos. The Strato makes its appearance. Congratulations for return of your Acura Integra. He can carry special coffee for you again at downtown Seattle. Did all the parts to repair him gather? I look for it for you if some part are not enough. It is easy to look for that parts in my country. It is called “HONDA Integra” or “DC2” in Japan. Nice to hear the rest of the car story and doubly nice to hear two stories involving good customer service. We often fixate on poor service and don’t notice the nice things, so it can take really, really good service to get our attention. Sounds like you found a superior car dealer. I really love your store reviews cuz they are mirror what I think too very often when I visit new stores. Melody congrats on getting your car back which although it had issues was nice to find. And as said in another comment, it is so rare to see such outstanding customer service from the dealership and from SB. I really believe that customer service has become a dirty word. It still amazes me how different the SB are in Seattle than elsewhere. Haven’t seen a black apron barista in ages!!! Enjoy having the car back. Yea i am glad to hear your car is back and repaired! That is great to have two positive customer service experiences in one day, both stores sound lovely. i actually think mixing it up once in a while can be good, and of course we wanted to know the end of the car story 🙂 i am glad the acura dealer was able to get it running again! Melody: so gald for you that you did get your car back! 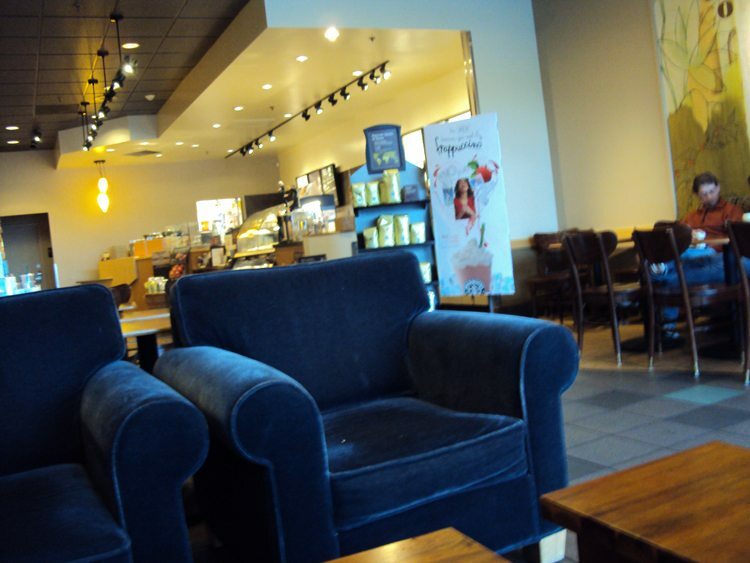 and the total good-karma-experience……car and Sbux. 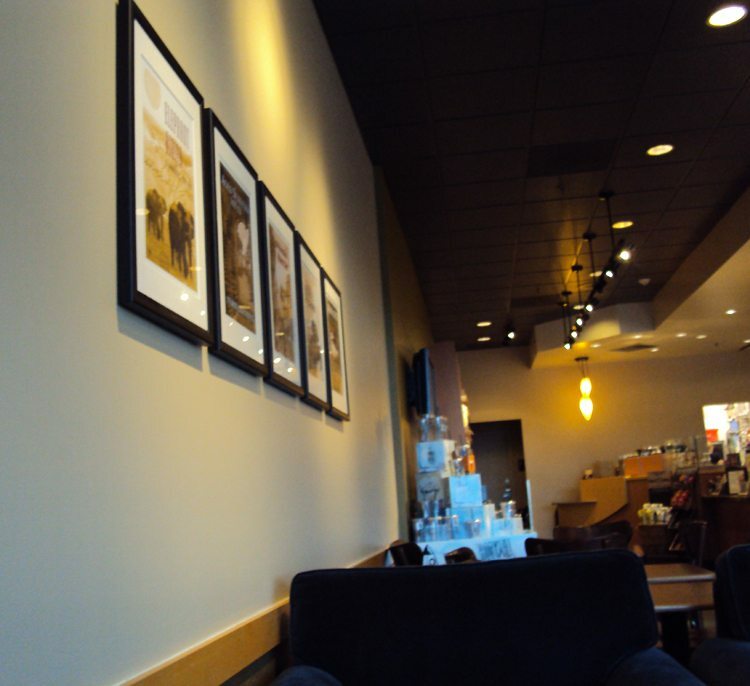 Sometimes it is really nice and refreshing to visit another Sbux and be surprised by their small differences, and/or excellent attitude and service. 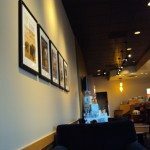 I had 2 Sbux experiences like that, at two different stores in a week. I’ll have to write about them later. Wanted you to know so happy you got your car back! U could also bless your car with a sage smudge stick to get rid of any bad ju ju. Glad your baby is back in your hands. BTW, freaking Italian is the Bomb! IMO It’s just me but if the condiment bar stays clean, I do keep my eye on it, just don’t go over unless to change milk. My only defense of the lack of a cafe check is from what you said it seems like the cafe didnt have too many customers rotating (happens often late in afternoon) and when that happens it really does not help much to walk out there and wipe down the same unused table every ten minutes. Else we would have to allocate some of the stocking/customer service time to wipe a table base every ten. I visually check the cafe about every ten minutes for upkeep or a big mess. Every 90 minutes since I change a carafe I use that time to do my more detailed checks involving stocking rtde, wipe windows, stock condiments, etc. After all you said it was fairly clean and there is not much use of me walking out and replacing a Splenda every time you would use one. As a sidebar perhaps to this discussion of customer service, I would like to open up a topic raised a bit back on MSI- Some people wanted to know why baristas do not wear name tags. Of course, you can ask their names and they yours. I know almost all the baristas in the store I frequent and they know me. The question then is having someone wear a name tag make for better customer service? Curious what people think. How’s your car running now that its been a while? And are you still walking a lot? I know if I go without something for a bit, I start appreciating how much simpler my life is without it, i.e. computer, TV, fast food. I like when people are critical of baristas in reviews like this. Ever since reading it, I’ve mentally checked the condiment bar more frequently. Doing spins is somewhat hard during certain times… like if its really busy, its like there’s not even an empty spot to clean… and if its really slow, like Darth said, it seems like there’s less of a need to check as often as possible. I just appreciate reviews like this because it makes me evaluate how I do. Thanks!